Play ultra HD media files from a single HDMI source on two different LCD/plasma TVs with an HDMI input. 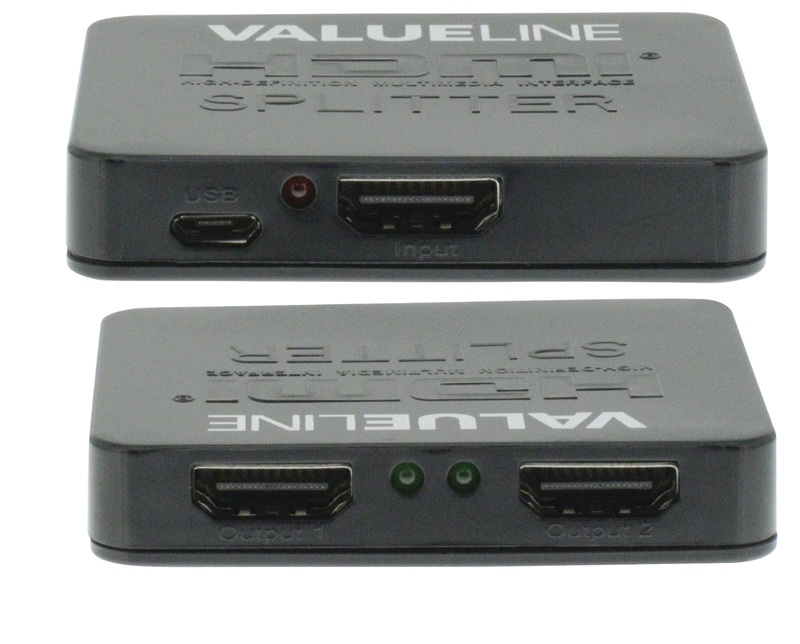 This two-port HDMI splitter supports 3D, Full HD 1080p and 4K media. Blu-ray player, HD satellite receiver, Set-top box and games to be simultaneously shown on 2 HDTV screens. No need to disconect cables. Ideal for use at conferences, presentation, schools and showrooms.